This new initiative has been dubbed "Beyond Moore's Law," as it seeks the solution to what will happen when Moore's Law — which holds that the number of transistors on a chip will double about every two years — comes to an inevitable end as physical limitations are reached. "Moore's Law, which is driven by microelectronics, is slowly fading," Ramesh said. "With the deployment of things like machine learning, artificial intelligence, the internet of things — all of these are taking off like crazy — the need for computing power is going to grow in a big way, yet we have no way of improving on Moore's Law today." He noted the immense economic and market implications of the effort. "The microelectronics market today is about $420 billion per year. By 2025 or 2030 it could grow to $1 to 1.5 trillion," Ramesh said. "There's also a huge national competitiveness issue here." Beyond Moore's Law is part of a broader interagency federal initiative to work with industry to address new paradigms of digital computing that show promise for scientific computations. At Berkeley Lab, Ramesh and Dan Armbrust (a Lab affiliate and former president of Sematech, a consortium of semiconductor companies) will co-lead the initiative, working across the Lab as well as with external partners to build up a comprehensive program ranging from fundamental science to computing challenges. Research will involve reimagining the digital computing paradigm starting from new materials, to exploring new physics and new architectures, to innovating novel technologies with new functionalities that could lead to unprecedented computing efficiency. 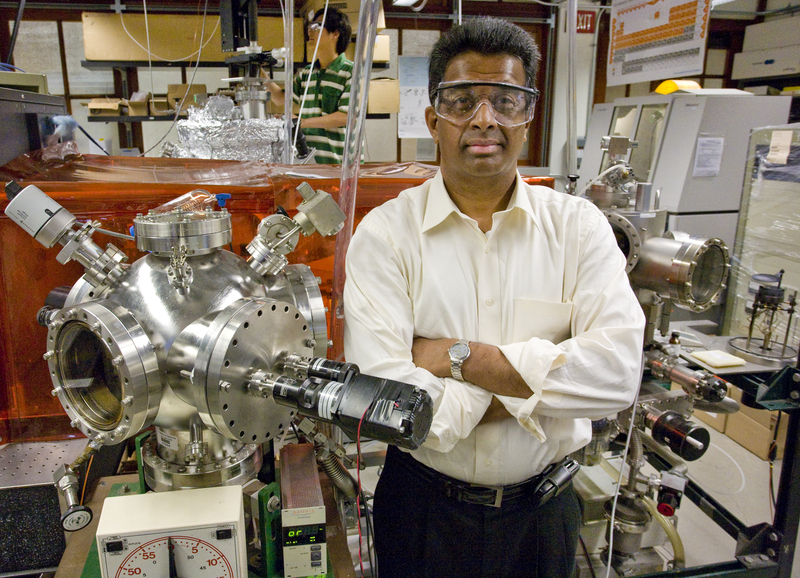 Ramesh's own research goals include looking for an attajoule switch, which could be a next-generation transistor. Today's transistors work at 100 picojoules, he explained. A joule is a unit of energy; an attajoule is eight orders of magnitude lower in energy than 100 picojoules. "Microelectronics today account for about 4 percent of primary energy use," Ramesh said. "With artificial intelligence, internet of things, and the proliferation of computers and devices, it could easily be 20 to 25 percent of primary energy. This is therefore an energy efficiency question, and it involves a lot of fundamental science." Prior to coming to Berkeley Lab four years ago, Ramesh served as Deputy Director for Science and Technology at Oak Ridge National Laboratory. From 2011 to 2012, Ramesh served as the founding director for the Department of Energy's innovative and highly successful SunShot Initiative.Ramesh is a UC Berkeley graduate with a Ph.D. in Materials Science. After stints at Bellcore and University of Maryland, he returned to Berkeley in 2004 and was named the Plato Malozemoff Chair in Materials Science and Physics 2009 to 2012 and currently holds the Purnendu Chatterjee Chair in Energy Technologies. Prior to that, he was a Distinguished University Professor at the University of Maryland, College Park.